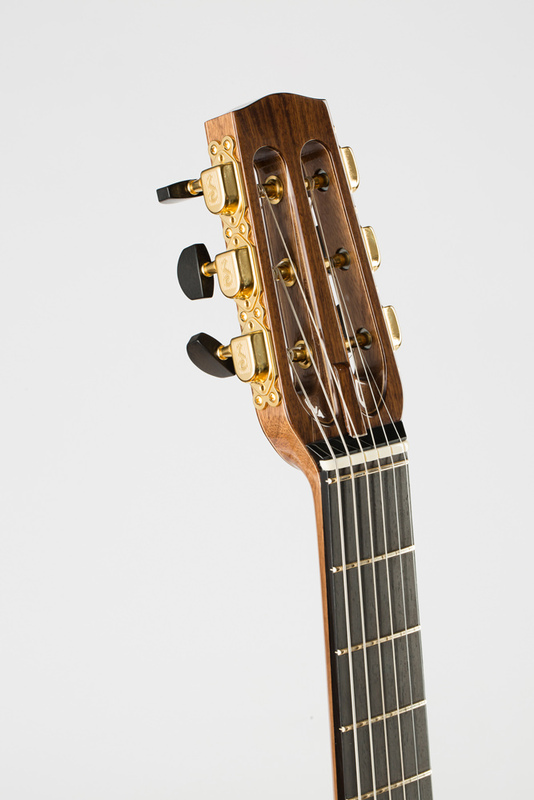 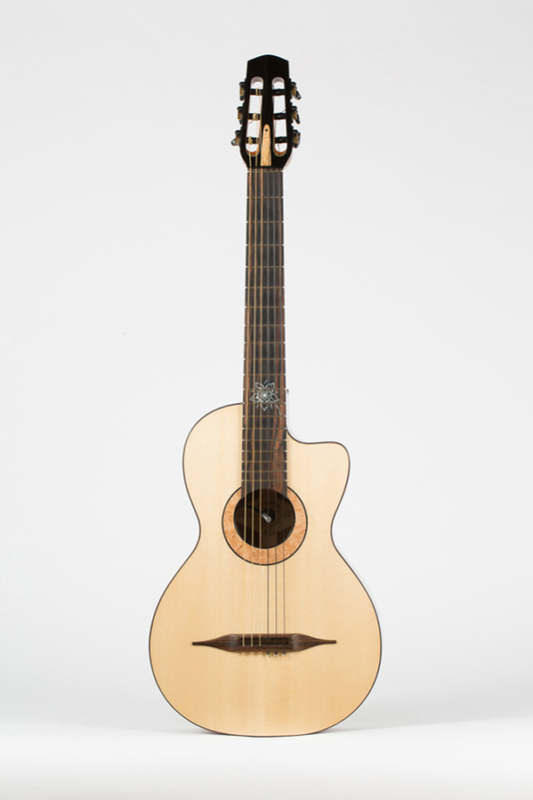 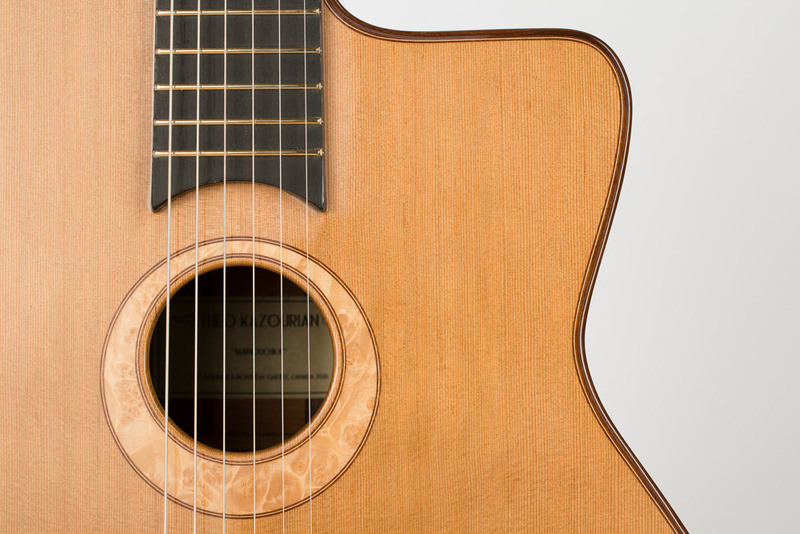 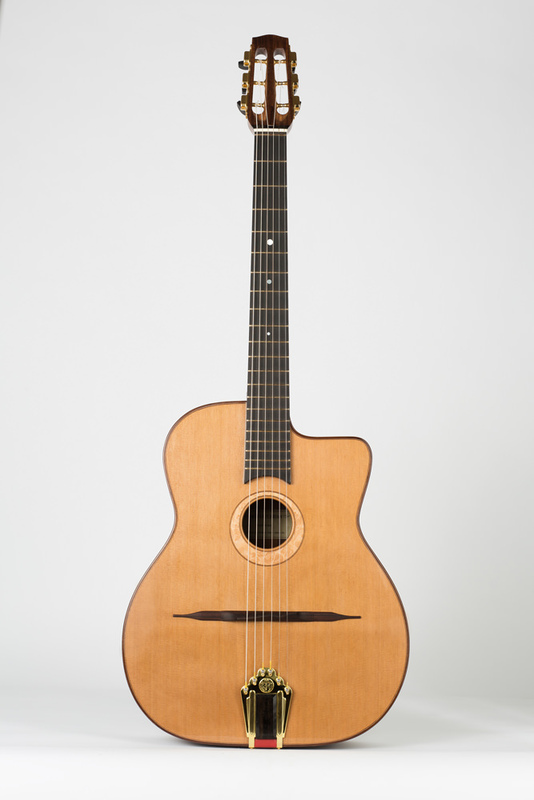 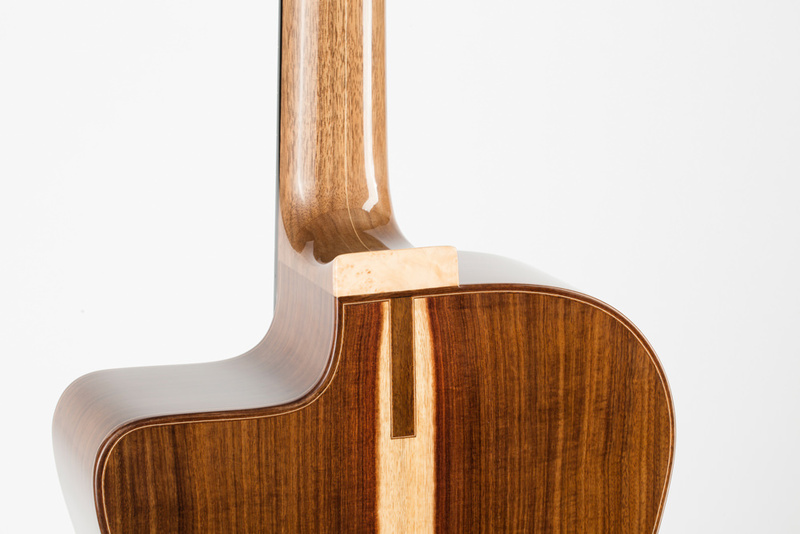 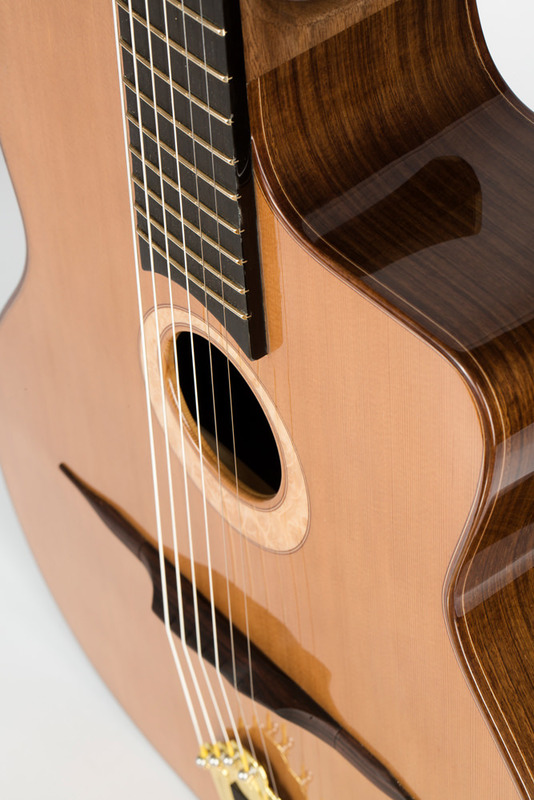 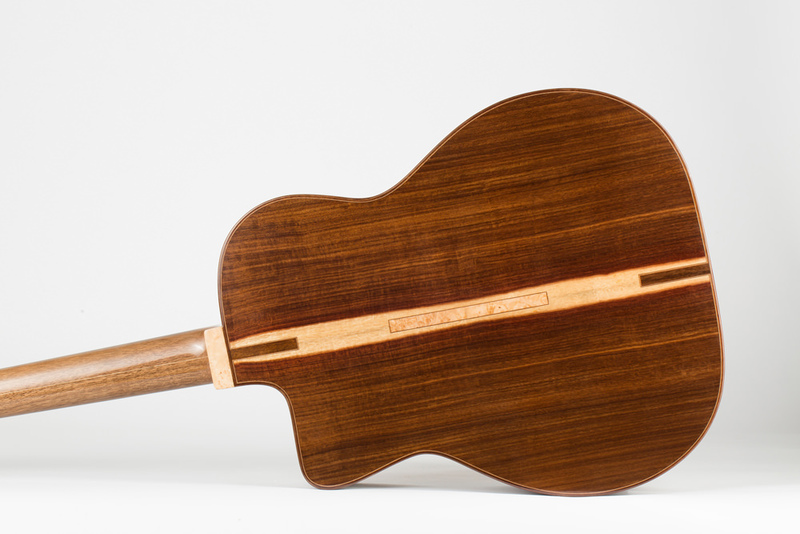 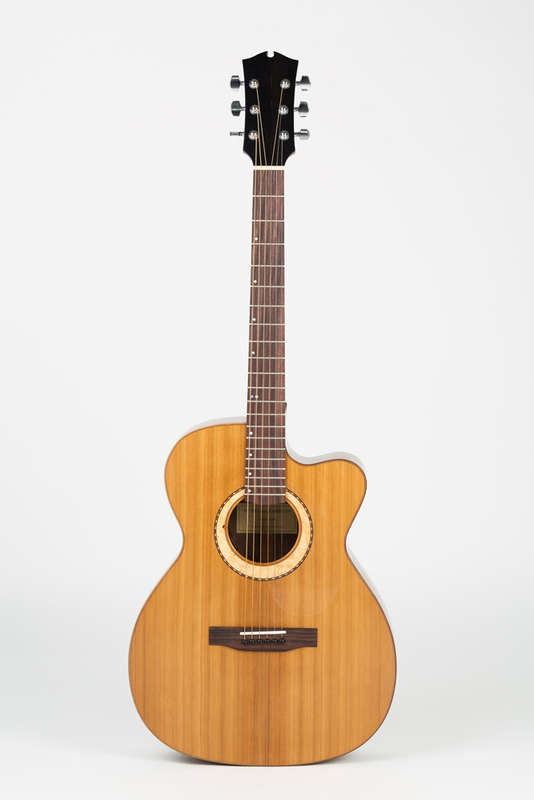 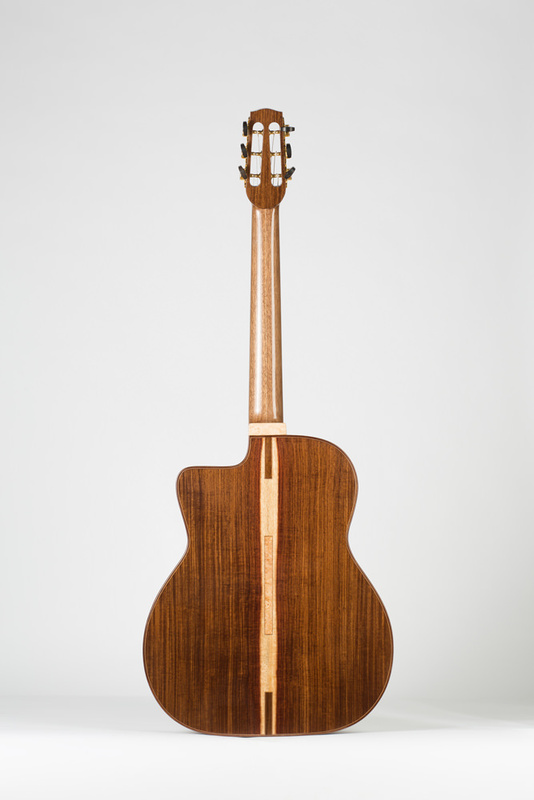 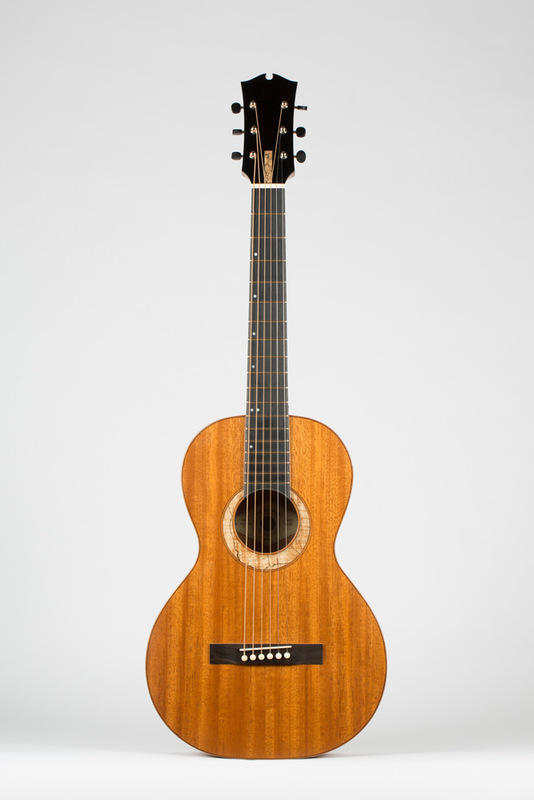 Inspired by the famous Selmer/Maccaferri model, this petite bouche guitar is made with laminated sides and a solid wood back to provide a true « wooden » taste to the sound while keeping a big projection and power. 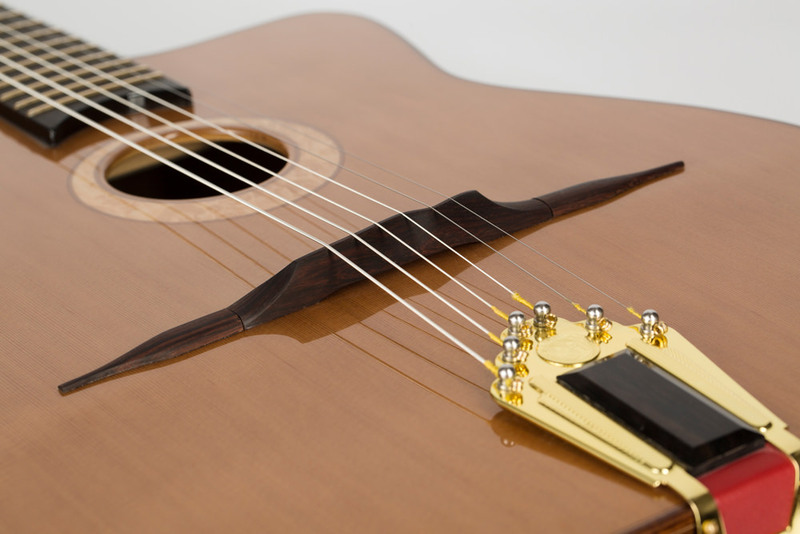 It creates the sharp specific sound of “Jazz Manouche”. 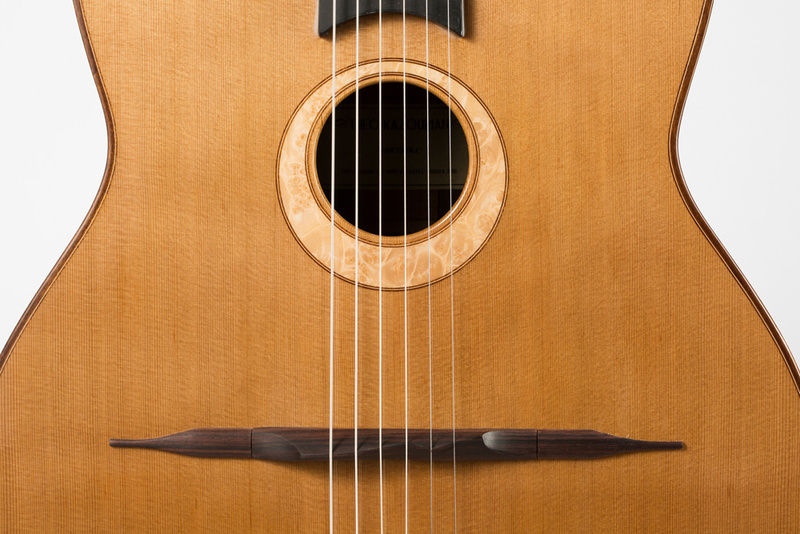 Equipped with traditional Selmer style tailpiece and tuners, this guitar has the unmistakable look of the legendary model. 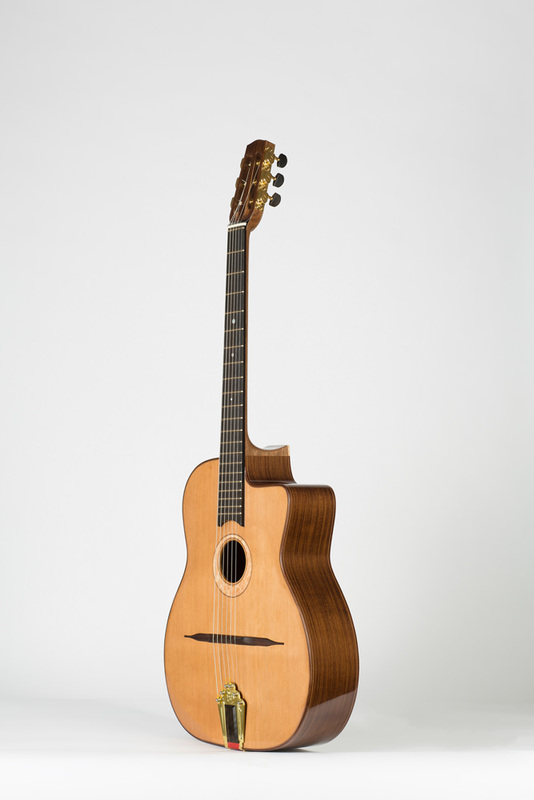 The model presented here is mainly made of Western red cedar and Granadillo. 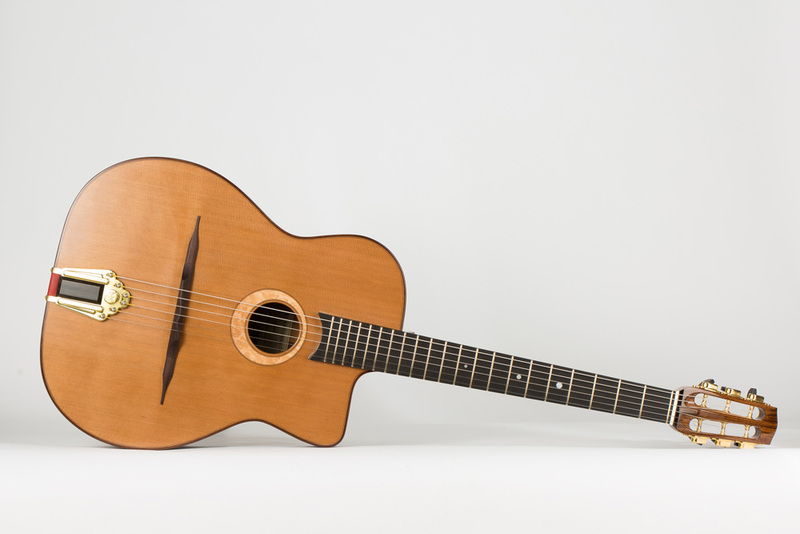 Guillaume St-Pierre plays “What is this thing called love ?” on a Manouchka model.